How To Buy The Best Dash Cam - Which? A dash cam should give you peace of mind while on the road. Provided it can capture decent footage - and not all models can. Our expert guide will help you buy the best dash cam for your budget. A decent dash cam or dashboard camera is capable of producing high-quality video footage which could help prove what happened in the case of a crash, or protect you from false claims. Some insurers even offer substantial money off your car insurance premium if you have a dash cam fitted. But not all dash cams on the market are worth your money. Our in-depth tests of dash cams reveal that there are big differences in quality between different models. Below, we explain what you need to know to choose the best dash cam for you and your budget. Once you've decided which features you want, head to our round up of the best dash cams for the latest models that have passed our rigorous tests. How much does a decent dash cam cost? Dash cams range in price from basic £20 models available online to feature-laden dash cam systems for anything up to £400. Price doesn't predict quality, however. We've found models from both ends of the spectrum have failed to impress in our thorough lab tests. What makes a good dash cam? The most important aspect of a dash cam is the quality of the footage it records. If image quality isn’t high enough, you might not be able to use your footage in the case of an accident to prove you’re not to blame. All dash cams support at least 720p resolution (1,280 x 720 pixels) and some devices record with a resolution of 1,080p (1,920 x 1,080 pixels) or even 4K (3,840 x 2,160 pixels). A higher resolution will generally mean a better quality of footage, but it doesn't guarantee it - we've uncovered higher resolution dash cams that produce dire footage. By contrast, we've also found dash cams at 720p that are still clear and detailed. One of the decisions you’ll need to make is whether you want a single camera that records the road ahead, or a multiple-lens system that offers both forward-facing and rear windscreen cameras. Front-facing dash cams are the most basic and common type of dash cam. These record from a single camera lens and are mounted onto the windscreen to record the road ahead. Pros: No need to hardwire them in as they can be plugged in to the 12V socket easily. They're the most common type of dash cam, so it’s easy to find one to match your budget. Cons: May miss events on either side or behind the car. These dash cams can record from more than one camera at the same time. The forward-facing lens is mounted to the windscreen and a secondary lens is mounted to the rear windscreen, to record the road behind. Pros: Will provide footage if someone hits you from behind. Cons: More fiddly to set up – you may need to hardwire the devices in, which could require professional installation. Likely to be more expensive than a single-lens dash cam. Find the right model for you. 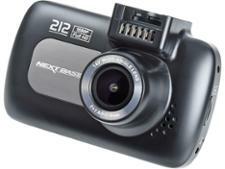 See our expert dash cam reviews. What dash cam features do you need? 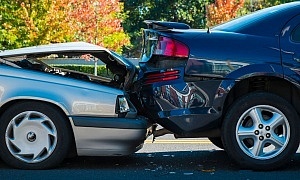 GPS location tracking will allow you to pinpoint your exact location at the time of the crash. It will also show the route you have travelled, and the speed you were going. This could be useful for building up a picture of exactly what happened in a crash. Dash cams record on a continuous loop, meaning that footage will be recorded over when the SD card is full. Devices with G-force sensors automatically save moments of high G-force, generally during a collision or another impact, and protect these from being overwritten. A parking mode will allow your dashboard camera to automatically start recording if it detects a collision or impact while you’re parked. This can be very useful for seeing who bumped your car or left a nasty scrape on your door while using a busy car park. Questions about how you fit a dash cam? Check out how to install a dash cam. 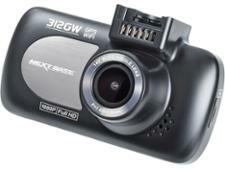 All dash cams use a memory card to store recorded images and video footage. All the dash cams that we have reviewed use ‘loop recording’, meaning that when they run out of space on the memory card they rewrite over the oldest footage. Some models come equipped with an SD card, but this is worth checking. If you need to purchase an SD card separately, we recommended you use class 6 or above. This ensures that it performs at a high enough standard to be reliable for use in your dash cam. All dash cams come with a power cord that plugs in to the cigarette lighter. These range from around 1.4m up to 4.9m. Choose a model with a longer cable if you want to route the cable around the windscreen and down the car’s front pillars so you can plug it into the power socket, without having cables dangling down from the windscreen. You may prefer to have your dash cam hardwired in, and will need to consider professional installation if that’s the case. Some dash cams have bespoke apps for your smartphone, tablet or home computer that allow you to view back the footage in a manner that's (hopefully) easier to browse and pause than through your device's default media player. You'll also come across wi-fi capable dash cams. 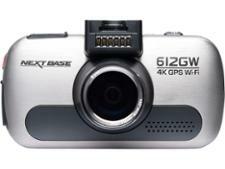 These let you transmit footage wirelessly from the camera to your device - so no need to remove it and take it indoors. 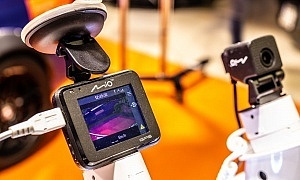 You'll also be able to view footage from the dash cam in real time via the wireless connection. 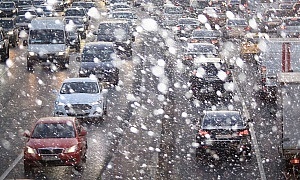 Some insurers will offer you a discount if you have a dash cam. To find out more, see our guide to dash cam insurance savings. Will your sat nav stop working this Saturday? Should you pay more for a premium dash cam?